By all appearances, Fieldy had the life: the band he played bass in, Korn, had exploded, skyrocketing to the top of the charts and fronting the nu metal phenomenon. Thrust into the fast-paced, hard-rocking spotlight, Fieldy became a rock star, and he acted like one, notorious not only for his one-of-a-kind bass lines, but also for his hard-partying, womanising, bad-boy ways. The more drugs he took, the more booze he drank, the worse he became: He was unfaithful, abusive, mean, and sometimes violent. Fieldy was on the dark path of excess, alienating friends, families, and loved ones, nearly destroying himself and the band. It took an unexpected tragedy to straighten him out: the death of his father, a born-again Christian, to a mysterious illness. Following his father's dying wish, Fieldy found God. 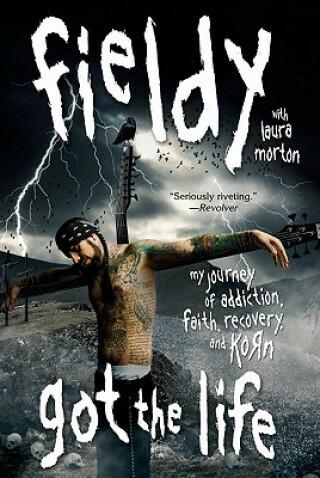 Filled with the spirit of his new faith, Fieldy quit drugs and drinking cold turkey, and found the best part of himself. With never-before-seen photos, and never-before-heard stories, "Got the Life" is raw, candid, and inspiring - the ultimate story of rock and redemption.